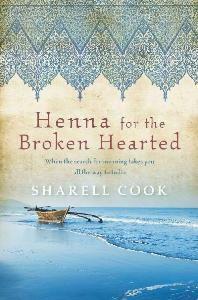 Henna For The Broken-Hearted is an autobiographical modern day love story of Sharell Cook, an expat living in India. I had been meaning to read Henna For The Broken-Hearted for quite some time and finally managed to get my hands on it. To begin with, I really like the title of the book. I think it is so poetic – and also, aptly captures the spirit of the story in just a few words. Henna For The Broken-Hearted is narrated in first person. It tells the story of how the author led a seemingly complete, but apparently empty, life in Australia. Faced with some life altering changes, Cook decides to volunteer in India – where she rediscovers life and love, and in the process, herself. As I started reading Cook’s description of herself, I thought, “Oh that sounds so much like me!” For instance, she says, “Despite what some would call an idyllic childhood … I grew into a shy, closed and introverted teenager … used to spending time by myself among nature and absorbed in books.”As she goes on to explain her career choices and other expectations from life, I was hooked. But of course, that is really where the similarity ends, for I am no white woman trying to find the true meaning of her life while struggling to accept India’s idiosyncrasies. And that is where I have a problem with this book. Although the premise of the story – the search for love and peace – is universal, the story itself isn’t. I am assuming that the target audience of this book is predominantly foreigners. A lot of everyday, common things which the average Indian needs no introduction to, are described in detail. Even the prices of stuff is first mentioned in rupees and then duly converted to dollars. Hence, at times, I wanted to just skim over the oh-so-familiar details of Ganesh Chathurthi and arranged marriages. The book does give one an insider’s perspective of life in India – as Cook eventually settles down in Mumbai – but it is also peppered with the typical clichés about Indians; how we don’t stand in queues, how we push and shove in crowded places, how everything is plagued by bureaucratic red tape, how we make a fuss about grand weddings, how we wobble our heads and so on. Yes, yes (and I’m wobbling my head here), we know all that. Now can we move on? But, apart from the done-to-death details about India, Cook’s story is a remarkable one indeed. One definitely has to admire the fact that she was brave enough to venture into India at a time when she was down in the dumps in her personal life. Afterall life in India is far from easy and needs a lot of “adjustments”, especially for those who come from orderly and follow-all-the-rules countries. Even many Indians like me, who get used to a comfortable lifestyle, would find India quite demanding, regardless of whether we love the country and consider it our home or not. I felt sorry for Cook, when she found herself in an Indian style squat toilet, clueless as to how to proceed! In her initial accommodation, when she is kept awake by an army of mosquitoes, I was reminded of my recent trip to Chennai; unable to sleep because of incessantly swatting mosquitoes that no amount of Odomos or Good Night could drive out, I indeed found myself longing for the cozy comfort of my bed in Dubai for a long and restful sleep! Henna For The Broken-Hearted, is somewhat similar in theme to Elizabeth Gilbert’s Eat, Pray, Love. But I enjoyed reading Eat, Pray, Love more than this book. It could be because, Eat, Pray, Love takes us to Italy and Indonesia, apart from India, and since I am fascinated by both these countries, I found them exotic enough. Another reason I think Eat, Pray, Love, is better, is that although telling a personal story, it somehow managed to look at the bigger picture in the larger scheme of things. But Henna For The Broken-Hearted, is an intensely personal story, which focuses almost entirely on the author’s ups and downs. Although, the author’s courage in sharing her innermost fears and thoughts are to be admired, why would anyone want to wade through nearly 300 pages of a book detailing the nitty-gritties of a random stranger – especially if you already know how it all ends, since the author is quite popular in the blogosphere as she runs the Diary Of A White Indian Housewife site? In that sense, I felt that something was missing from Henna For The Broken-Hearted. A good read – but going beyond the personal, would have made it a great one.